Country singles and cowboy cowgirl dating free site. Single country woman and men join to find dates, romance and horse singles for riding buddies. Country western dating and chat community. Fun, friendly community. Meet for friendships, romance, riding buddies, or some 2-steppin' action. Live chat, forums, blogs, and more. Come join us! 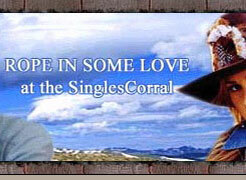 © Singlescorral.com powered by EquestrianCupid.com 2001 - 2019. All rights reserved.